How did the Ayodhya land dispute case get to where it is? The Supreme Court on Tuesday said the Ayodhya title suit regarding the Babri masjid-Ramjanmabhoomi land dispute would be heard by a five-judge Constitution bench on January 10 (Thursday). The bench will be led by Chief Justice Ranjan Gogoi, with the other four judges being Justices S.A. Bobde, N.V. Ramana, U.U. Lalit and D Y Chandrachud. The Supreme Court began hearing the case in December 2017, when the Allahabad high court decision to split the land three ways was appealed. In the last week of September 2018, the Supreme Court refused to refer to a five-judge Constitution bench a 24-year-old case – the Ismail Faruqui judgment – that said offering prayers in a mosque is not an “essential feature” of Islam. Justice Ashok Bhushan authored the majority judgment, for himself and then Chief Justice Dipak Misra. Justice S.A. Nazeer was the dissenting judge. The Muslim litigants had requested that the judgment be reopened because the litigants felt it might have an adverse bearing on their claim to the land in question. While refusing to list the matter before a constitution bench, the Supreme Court said the civil suit will be decided on the basis of evidence and that the previous verdict does not have any relevance. The petitioner, Ismail Faruqui, challenged the validity of the Acquisition of Certain Area At Ayodhya Act, 1993, under which 67.703 acres were acquired in the Ramjanmabhoomi-Babri Masjid complex in Ayodhya. The Supreme Court held that “any step taken to arrest escalation of communal tension” can “by no stretch of argumentation, be termed non-secular”. (Mosque) is not an essential part of the practice of the religion of Islam and namaz (prayer) by Muslims can be offered anywhere, even in open. Accordingly, its acquisition is not prohibited by the provisions in the Constitution of India. In October 2018, the Supreme Court decided that the land dispute case would only be listed before an “appropriate bench” in January 2019. In what was seen as a setback to the BJP leaders pressing for speedy disposal of the title suit, a bench consisting Chief Justice Gogoi and Justices S.K. Kaul and K.M. Joseph said, “the appropriate bench will fix the schedule with regard to the hearing of appeals in the case”. 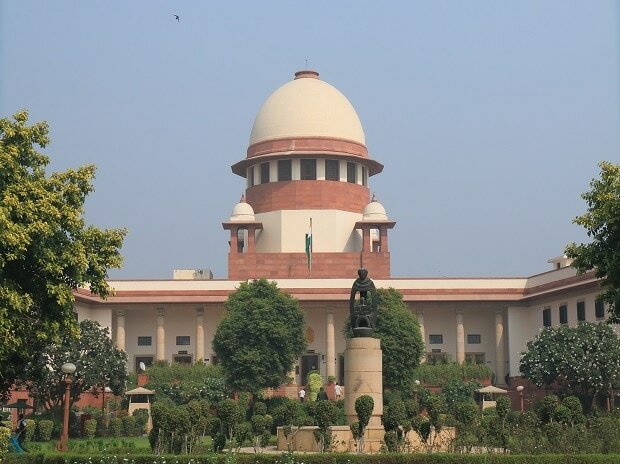 On January 4, 2019, the Supreme Court deferred hearing a bunch of petitions in the Ayodhya title dispute case till January 10. “Further orders will be passed by an appropriate bench on January 10 for fixing the date of hearing the matter,” a bench comprising Chief Justice Ranjan Gogoi and Justice S.K. Kaul said. On January 8, the Supreme Court set up a five-judge constitution bench to heard the land dispute case.